Talks to end the conflict in Syria have ended without a breakthrough. 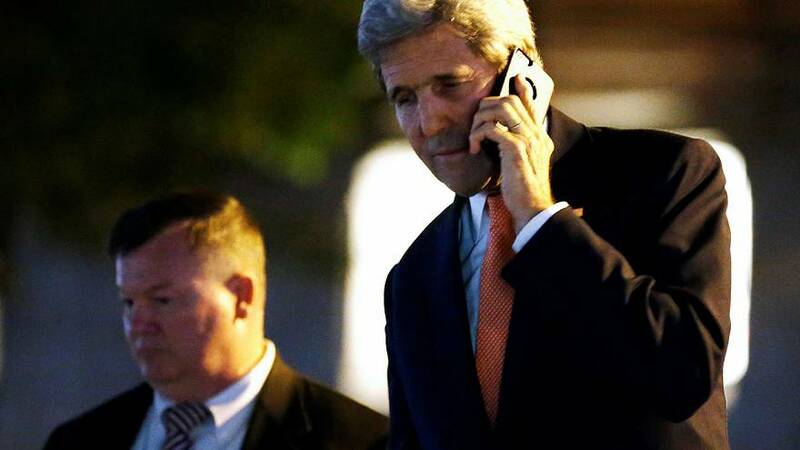 The US Secretary of State emerged from the negotiations in Switzerland saying the parties had discussed ‘a number of possibilities’ that could lead to a ceasefire, and that they would meet again on Monday. It was the first meeting between Kerry and Russian Foreign Minister Sergei Lavrov since the collapse of a painstakingly drafted ceasefire three weeks ago, after which the US cut of diplomatic talks with Russia. Joining them were Turkish, Saudi, Qatari, Iranian, Jordanian and Egyptian ministers. Just hours before the talks, dozens of air strikes rocked the rebel-held areas of Aleppo overnight. The offensive by the Syrian government backed by Moscow, has attracted international outrage and accusations of war crimes. Almost 400 people have been killed in the bombardment. The bloodshed has prompted NGOs to plead for a 72 hour ceasefire to allow essential aid and medical supplies into the besieged parts of the city. To the north of Aleppo, another offensive was underway. Turkish-backed Syrian rebels advanced on ISIL-held Dabiq. It features heavily in ISIL propaganda as Islamic eschatology depicts the location in an ancient prophecy as the site of an apocalyptic battle between Islam and Christianity.